Our rural setting provides many opportunities for the avid outdoors folks and the occasional nature walk with a bog walk and nature preserve about one mile away. Fish River and Magnolia River boat launches are within one mile of the park and Weeks Bay and Mobile bay are easily accessed from the launches and the Gulf State Park fishing pier is less than 30 minutes away. 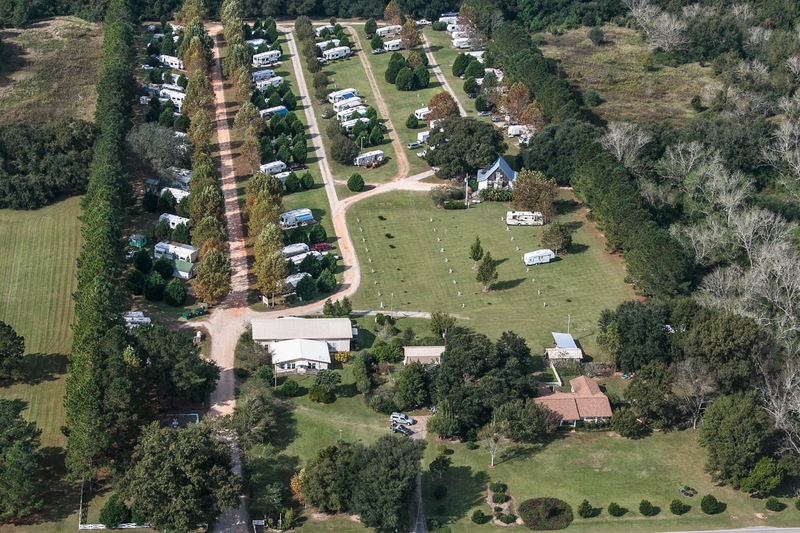 Our 96 sites are large enough to accommodate even the largest RV's and all sites provide full hook-ups, including 20, 30, and 50 amp service and cable TV on each site. Propane is dispensed in the park with portable tank pick-up, fill and return during the winter months. We have a Wi-Fi hot spot in our public building along with a rec room and laundry facilities. The park is privately managed and the owners live on site. Pets are welcome as long as they are leashed and maintained. Please fell free to call us with any questions or for more information. Thank you for your interest in South Wind RV Park. Get off I-65 at exit 37 (Highway 278, Gulf Beach Expressway, Bay Minette). Go 35.5 miles, turn right (west) onto County Road 32. Travel 5.2 miles to four way stop turn left (south) on County Road 9. South Wind is 4.5 miles on the right. Get off I-10 at exit 38 (Malbis, Daphne). Go south 16.2 miles on Highway 181 (dead end). Turn left (east) onto Highway 98. Travel 2.2 miles and then turn left (north) onto County Road 9. South Wind is one quarter of a mile down the road on the left. Get off I-10 at exit 44 heading south on Highway 59. Travel 12.9 miles to County Road 32, turn right (west). Go 5.2 miles to four way stop. Turn left on County Road 9. South Wind is 4.5 miles down County Road 9 on the right.